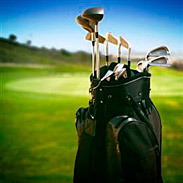 Although Orlando is recognized world wide for its spectacular theme parks, the area also has a host of other amenities. International Drive – This 3-mile strip has one of the largest concentrations of shop options in the Orlando area. Orlando – The proliferation of shop options elsewhere have left Downtown Disney® struggling for a bit of recognition - but certainly not for quality. West Orlando – Options here included Metro West, Winter Garden, Ocoee and part of Turkey Lake Road. Kissimmee – Just south east of the Walt Disney World® Resort, Kissimmee has several interesting shopping areas. There are in excess of 4,500 restaurants near the theme park capital of the world. You will never be stuck for choices, with selections such as American, Continental, Italian, French, Spanish, Japanese, Chinese, Mexican, Cuban, Australian, German and many more. Down home BBQ is easy to find as are locations for delicatessens, pizzerias, healthy eating (natural foods), and seafood, not forgetting fresh catch from nearby waters. 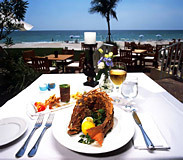 Orlando also gives you the opportunity to eat outside all year round. 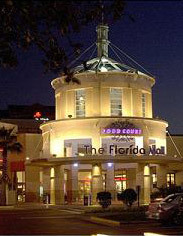 Nightlife Orlando style - as busy, sophisticated or laid back as you want. Bars are numerous, with Downtown Disney Pleasure Island being very popular to visitors. Florida is a golfer's paradise. Wherever you stay, you are within minutes of a course. With no fewer than 33 golf courses open to the public, it truly is paradise. Your main decision will be which course to play, and on which day! When quality, value and superb course conditions are your key choices, look no further than Orlando. You’ll be glad you did!